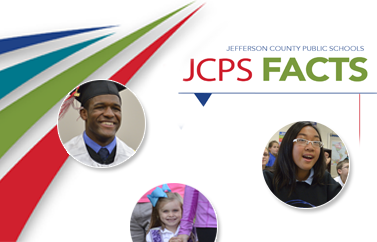 JCPS offers a wide range of programs for students from 3 years old through grade twelve. Early Childhood Programs (available for students ages 3 and 4) prepare children socially, physically, emotionally, and educationally for elementary school. Full-day, half-day, and home-based programs are available. Some programs are free. Others are tuition-based. Elementary schools, which serve kindergarten through fifth-grade students, are grouped into clusters of five to eight schools. Each student’s cluster is determined by his or her home address. Elementary students may apply to a magnet school or program. Students in middle school (grades six–eight) and high school (grades nine–twelve) are assigned to the school that serves their home address. An application is not required for a student to attend this school. Middle and high school students may choose to apply online to a magnet school or program. Register: The registration process can be completed online, at any district school, or at the JCPS registration site in the Lam Building (4309 Bishop Lane, open daily from 8 a.m. to 4 p.m.) The English as a Second Language (ESL) Office helps families who speak other languages. Call (502) 485-6250 for more information. Apply: After your address has been verified, you’ll receive an activation key that will let you access the application for an elementary cluster (required for an elementary school assignment) or for an elementary, middle, or high school magnet school or program. Current JCPS students do not need to register before they apply to a school or program. They may go directly to the application. Applications are required only for elementary students who are entering kindergarten for the first time, elementary students who have moved, and students at all grade levels who want to apply to a magnet school or program. *You may register your child for school regardless of immigration status and/or a fixed, regular, and adequate nighttime residence. If a student lacks this type of residence; has a temporary living arrangement because of economic hardship or temporary foster care placement; or lives in a shelter, hotel, or family member’s residence, the student may qualify for the Homeless Education Program. Call (502) 485-3650 or send an email to giselle.danger@jefferson.kyschools.us.